Matsuri Digital releases its next psychedelic dance music compilation on April 13 with Forever Psychedelic 2. The first Forever Psychedelic compilation was released in 1998 and was evolutionary in its variety of tempos and beats at a time when four-on-the-floor kicks were the norm. Twenty years later, Matsuri revisits this exploratory approach to present an updated and equally varied journey: new tracks and remixes of old favourites, familiar artists and new ones, with today’s production standards but timeless psychedelia inspired by the global dance movement that was expanding in the 90s. The compilation opens with a bouncy, groovy remix of a classic early Matsuri track – Endora’s Joy, first released in 1996 – produced by Oforia and Dede together with label founder Tsuyoshi Suzuki. Tsuyoshi then joins forces with the Japanese New Goa project Jikooha for the acid track The Land of 505. Things then get groovy and deep with MTL’s track Megathrust, whose gnarly 135bpm kick supports an energizing fusion of percussive and synth riffs. The iconic James Monro is next with his track Vantage Point, with a streamlined futuristic groove and hypnotic loops before Kurosaki Tamao continues the mind-bending harmonic vibes with his driving but organic belter Future Om. Dede is next with his mind-altering Planet Drugs, driven by an uplifting kick, melting melodies,and acid lines before the legendary Oforia ends the compilation with ‘What did that make you feel?’, a momentum-filled track with echoing voices and an evocative harmonic flavour. 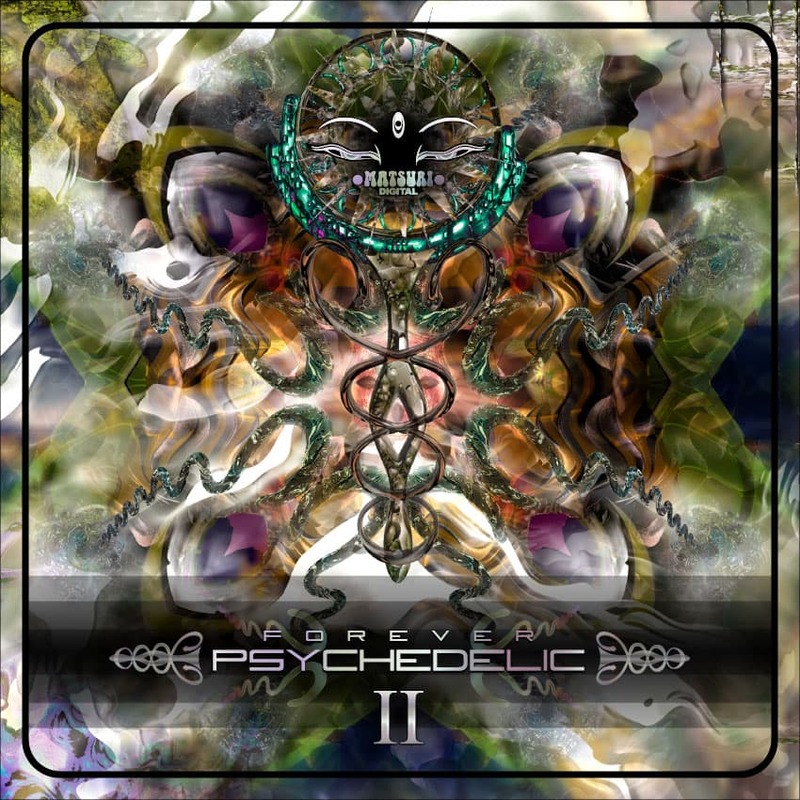 With a wide array of psychedelic musical styles conceptualized with graphic design from the inimitable Japanese artist collective Organix, Matsuri Digital’s Forever Psychedelic 2 compilation is sure to be rocking parties all over the world.